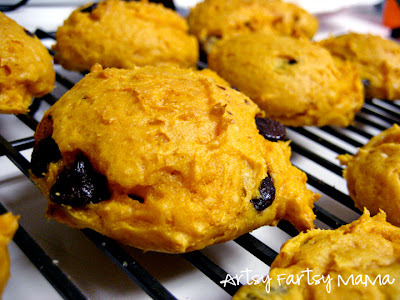 Sharing my yummy and EASY recipe for Pumpkin Chocolate Chip Cookies! All I gotsta say is for a non cooking blog...your recipes sure do rock the HOUSE! I'm so there! :) I still need to post on the deliciousness that IS your banana bread recipe! Lindsay,these look so yummy! I have never put chocolate in my pumpkin bread/muffins before. I've got to try this!